Aegina, Agkistri, Spetses, Hydra, Poros, Salamina and the peninsula of Methana form the island complex of the Argosaronic Gulf in southern Greece. Scattered all over the Argosaronic Gulf and steeped in ancient mythology, these islands are small heavens in close proximity to Athens. Daily ferry connection from the port of Piraeus makes them a lovely, easily accessible all-year-round destination for the Athenians, and not only. Visitors here will enjoy natural beauty, historical treasures, unique architecture, and glamorous, yet romantic atmosphere. ​For an unforgettable day cruise in the Saronic islands, do yourself a favor and check into the tour that Viator, a TripAdvisor company has organized for you! Look for our wonderful selections for Swimwear and Beachwear for you to wear this Summer on the gorgeous Greek beaches. Hydra, amphitheatrically built on a slope, is one of the most romantic destinations in Greece, but also full of history. 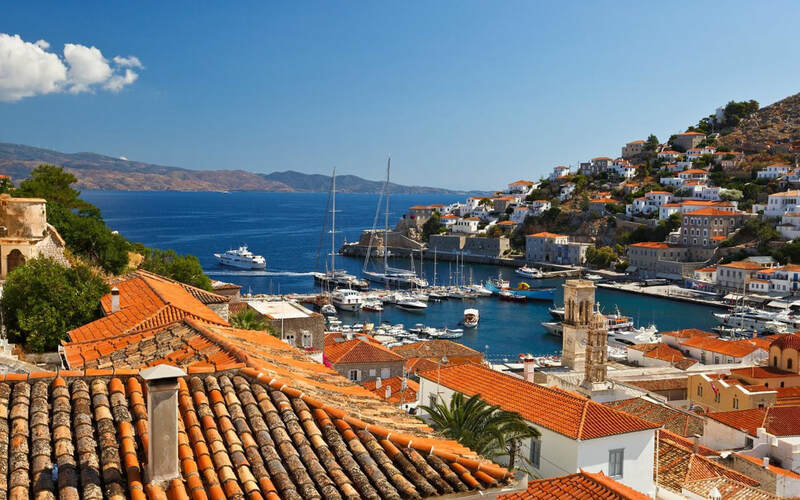 Traditional stone mansions, narrow cobblestone streets, secluded squares and the banning of cars and the use of donkeys as means of public transportation, explain the reason why Hydra preserved its distinctive atmosphere through time. The island experienced exceptional economic growth in the past thanks to its great naval and commercial activity. Its inhabitants contributed significantly to the 1821 War of Independence as their powerful fleet participated in crucial sea battles. 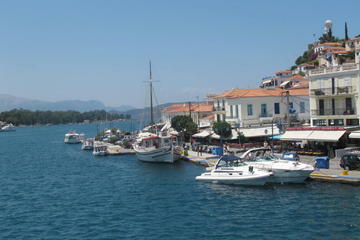 It is rather impressive the fact that such a tiny island is the birthplace of five Greek Prime Ministers! Lavish stone mansions owned by important families (Voulgaris, Kountouriotis, Tombazis, Kriezis, Bountouris etc), and built by Italian artisans reveal the wealth that experienced the island in the past. Today most of these mansions house the island’s museums, including the Historical Archive-Museum of Hydra (showcasing rare archive material related to the history, tradition and culture of the island from 1708-1865, including an Archive Section, the Museum Section, and the Library;) the Ecclesiastical and Byzantine Museum (housed in the old Monastery of the Assumption of the Virgin Mary); The house of Lazaros Kountouriotis operating as an annex of the National Historical Museum; and the Museum of Post-Byzantine Art and History of Hydra, housed in the mansion of Georgios Kountouriotis. 300 churches and 6 monasteries spread around the island as well as the cannons and the statues of the Independence War heroes still standing at the balconies of the island create a romantic mosaic. Spilia Beach Close to the port, Spilia is a lovely rocky area with deep shimmering turquoise waters and a perfect place for diving. Due to their shape and size, the rocks on this beach can be comfortably used for tanning and relaxing. Hydronetta This beach is located under the cannons and on the rocks making it very beautiful and a great location to deep dive or relax on the hot rocks. Avlaki This small beach is fantastic at night time as it offers an amazing natural light show due to minerals in the pebbles that glow when it is pitch black. Blue-green water will wait for you to take a swim into it. Kaminia has a small pebble beach, ideal for families with children. It is also perfect for water games, located near to a small natural port which is always full of fishing boats. 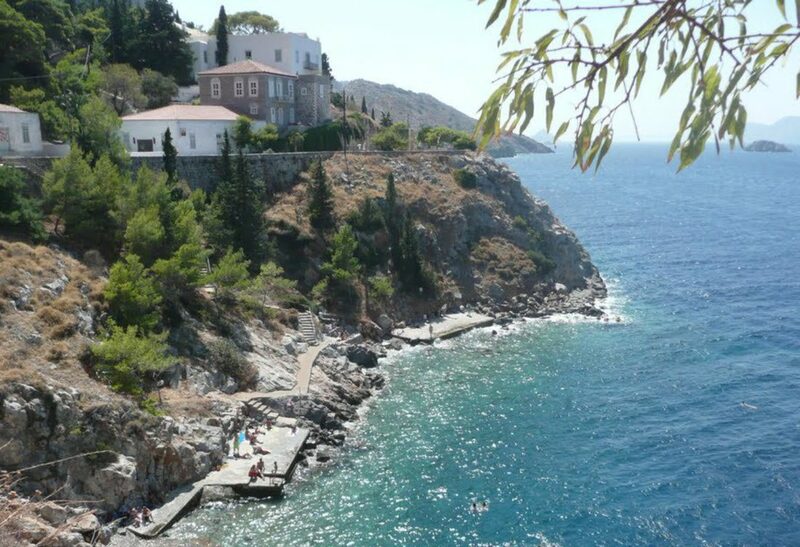 Agios Nikolaos on the south-west part of Hydra island, accessible via 30 min ride by boat-taxis from the port and hidden inside a cove, the beach is safely protected from the weather and sea currents. Blue waters, thin pebbles, and fine sand await you here. Vlichos beach a small pebble beach with crystal clear waters. The beach is very quiet and can be reached within a 40 minutes’ walk from the port or with a boat-taxi. Bisti beach reachable in 30 min ride by taxi boat from the port is a small pebble beach fenced by tall rocks and pine trees. Visit three gorgeous Greek Islands in one day on an island-hopping cruise from Athens! Visiting the Saronic Islands of Hydra, Poros and Aegina, this independent sightseeing tour includes a delicious Greek lunch and ship transfers. Sightseeing, shopping, swimming or joining exciting excursions, like a trip to the Temple of Aphaia (at own expense), on this must-do day-trip from Athens. Upgrade to enjoy a VIP experience with access to a VIP area, enjoy finger food and skip the line of the buffet lunch.